Have you ever wondered where the fanworks on AO3 are stored? Ever wanted to take a peek behind the scenes? The Organization for Transformative Works, the nonprofit behind the Archive of Our Own, Open Doors, Fanlore and Transformative Works and Cultures , owns the servers that run nonstop to host our projects. With your support, we can maintain and upgrade our servers as our projects grow and expand every year. We’re here to archive your creations, and we take the duty of preserving your fanworks seriously. By owning our own servers, we avoid being subject to other companies’ terms of service and potential censorship. 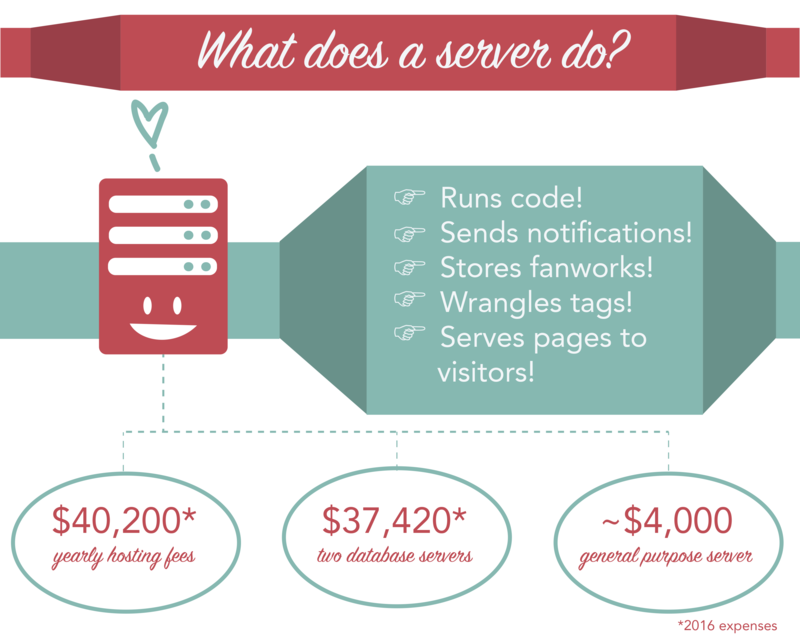 Without our servers, none of this would be possible! Adapted from the OTW 2016 budget. We need to make sure our servers are up to date and able to handle these demands so that pages load quickly. 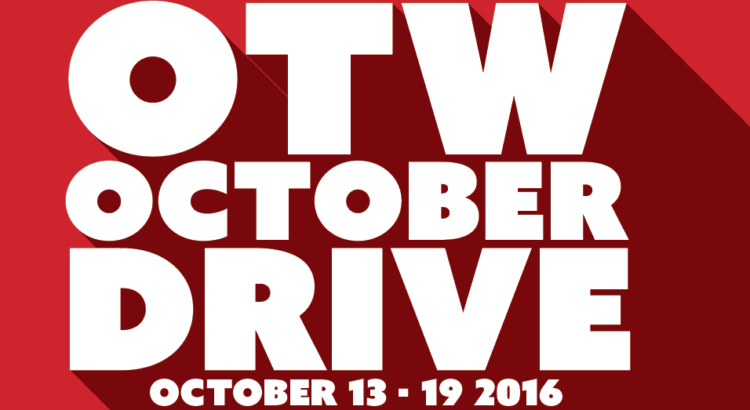 To help keep the AO3’s servers up and running and the OTW’s projects thriving, please make a donation today!